When formerly Protestant converts to Orthodoxy (or Roman Catholicism) recount the theological reasons for their conversion, it is not uncommon to hear among those reasons that they were persuaded by “the authority of the Church.” Once you become convinced of the Church’s authority, the telling goes, everything else falls into place. While this seems to be sufficient for the convert, those hearing the story are often left unsatisfied. Two objections, in particular, are raised to the convert’s reliance on the authority of the Church. The first complaint is one of inconsistency. By submitting to the authority of the Church, the convert claims, he has abandoned Protestantism’s error of individualism. Instead of deciding for himself what is true, acting as a kind of self-pope, he has submitted to the authority of the Church. The Protestant objection is that this is all a conceit; in practice, the only difference between the Protestant and the Orthodox or Roman Catholic is to whom they choose to submit. In the end, everyone is still deciding for themselves what to believe—at least the Protestant is being honest about this choice. This is the same argument that Richard Barrett recently took up, and with which Robin Phillips engaged in his comments on the role of private judgment in conversion. While reaching different conclusions about our ability to resort to history as an answer, Barrett and Phillips both acknowledged that the complaint, at least as it’s framed, seems to hold up. But is the convert really being inconsistent? While I’m more than sympathetic to their comments, I think Barrett and Phillips cede too much on this point (though, to be fair, Phillips’ comments were really on a parallel question). To start, we simply cannot equate choosing to submit to the authority of the Church with a sola scriptura Protestant’s choosing what doctrines to believe based on his own reading of scripture. The former is submitting to an external authority; the latter is not (it’s not the bible to which he submits, but his own interpretation of the bible). The convert cannot, after submitting to the authority of the Church, later change his views and claim consistency. The Protestant under no one’s authority but his own is free to believe as he pleases at any given moment, wavering with the wind, all the while remaining consistent in his complete submission to his authority: himself. So let us dispense with the suggestion that submission to authority is illegitimate because it is chosen. If that’s the case, then we’ve torn down more than ecclesiastical structures; we’ve dismantled the entire Christian faith and slandered the sacrifice of the Cross. The second complaint (the one Phillips’ comments seem more directed towards) is more serious: that appeals to authority are ultimately circular. That’s to say, the problem that is alleged to be solved by “the authority of the Church” is the question of how we know what the truth is. What is the Apostolic Faith? Citing the authority of the Church, the convert answers, “The Apostolic Faith is that which is taught by the One True Church.” OK, but how do we know which church is the ‘One True Church’? “Well, it’s that church that teaches the Apostolic Faith!” You see the problem. How, in such a muddle, can we really be sure of anything? Is certainty possible? If so, how and what does it look like? Are there any answers to these questions that are not circular? How do we know what is true? These questions and concerns, which are genuine stumbling blocks for many seeking faith, raise very important philosophical issues for Christians and merit a thorough discussion. Like all complicated questions, they require us to first define our terms. And, I think we will find, herein lies the key to finding the answers. The first thing we need to clear up is what we mean by “know.” When we ask, how do we know what the truth is, what exactly is our goal? Epistemology is the study of how and what we can know. Various epistemological philosophies have come and gone throughout human history, but what does Christian epistemology look like? This is an important inquiry because the questions above often rest on some unexamined premises regarding what knowledge is and what faith requires. When someone asks, how do we know what is true, they typically assume (consciously or not) both that knowledge rests in logically-testable rational data and that faith requires certainty based on such data. However, the first of these premises is true but incomplete, and the second is outright false. The question, “How do we know which church is the One True Church,” as typically posed, really belies latent empiricism and rationalism. Yet Christians are neither empiricists nor rationalists. The fact is, knowledge does not rest only in logically-testable rational data and faith does not require such data. Rather, for Christians, all knowledge—all truth—is personal: it is of and between persons. This is because the Truth is a person: Jesus Christ. To know the truth is to know a person. Truly, all knowledge is of Christ. Even our understanding of the physical world is personal; it is knowledge of Christ, in whom “all things hold together” and “in whom are hidden all the treasures of wisdom and knowledge.” “And this is eternal life, that they know you the only true God, and Jesus Christ whom you have sent.” Because the Truth is a person, knowledge of the Truth is not a set of axioms or arguments, but an ongoing personal relationship. In this light, the question might be better worded, Who is the Truth? Working within a Christian epistemological framework, we can see that coming to know the truth will look less like conducting an experiment in a lab or constructing a logical proof, and more like developing a relationship with another person. That’s the reason this issue features so prominently in the debate over which church is the true church. Because the Church is the Body of Christ. The Church, or more precisely life lived within the Church, is how you get to know the person of Christ. You can’t have the head without the body. Of course, the ultimate and superlative act of this getting to know Christ is Eucharistic communion; you get to know Christ by becoming Christlike. You are what you eat and the Church becomes the Body of Christ by partaking of the Body of Christ—this is how we come to know Christ, who is Truth. Ah! But which church? It’s all well and good that we know the truth by knowing the person of Christ, and that this is accomplished within the Church, but which one?! After all, that was the original point of this discussion. Which Church is the one that most fully allows us to know Christ? One can accept that real knowledge of the Truth can only occur through a life lived within the Church, but that hardly helps if you can’t determine where the Church is. This brings us to another unexamined premise of our question, the nature of authority. We want to be within the Church, to live the life of faith in communion with the Body of Christ in order to develop a relationship with and come to know Christ. But how can we know where to start when various groups, with conflicting beliefs and creeds, all claim to be that Church? By what authority can we know where the Church is? This is what people are really getting at when they ask how we know what the truth is. For the most part, inquiring Christians are fine with accepting that knowledge isn’t only rational and empirical, that it requires a personal relationship with Christ. Yes, yes, fine, fine. But who has the final say? Who will tell me how that is done? Who will tell me where the Church is? We want a final, binding, and definitive authority. Yet, just as the earlier questions rested on a misunderstanding of Christian epistemology, so these demands reveal a misunderstanding of Christian authority. And really, it is the same misunderstanding: it seeks a human answer to a divine longing. We want an indisputable authority, one that can settle all debate and give us full, blessed assurance of the truth. But we expect this to come about on our own human terms, in a scientific or mechanistic manner. However, human mechanisms of authority can only be based on reason or power: they rely on logical or physical force. But Christ is the true Logos, and His power “is made perfect in weakness.” It is Christ the God-man, the Truth as person, who proclaims, “All authority in heaven and on earth has been given to me.” What we want is an authority based on reason and power; what we actually get is an authority based on revelation and humility. The fact is, the appeal to authority is circular. It will never be satisfying to say that X is true because Authority Y says so. Why trust Authority Y? Because they’re the authority? All appeals to authority are circular; that’s why it is a logical fallacy. The framing of the question sets it up for failure. By seeking authority in some mechanistic or logical guarantee of truth, we fail to attain certainty because we leave no place for the working of the Holy Spirit. The only way to disrupt the circularity of appeals to authority is to appeal to divine authority. It might be objected that we are trying to solve the problem of authority by simply saying, “Well God said so. The Holy Spirit has spoken.” Isn’t this just a cop-out and, in any event, entirely subjective? Cannot anyone simply claim that whatever they believe was revealed to them as true by the Holy Spirit, and is thus beyond reproach? Is this not functional fideism, as Phillips put it? At this point, you may be feeling that we’re worse off than when we started. How can we be sure of anything? If knowledge of the truth can’t be attained through reason alone, and all appeals to authority are circular, are we not merely left with each man’s own subjective guess at what the Holy Spirit is telling him? No! The point of the discussion up to now has been to show that questions like “how do we know what is true” and “how do we know what the true church is” are most often working off of flawed premises regarding how we know truth and the nature of authority. It is necessary to reveal these flaws so that we recognize that the failure of those questions to provide the certainty we seek is not an indictment of the ability to have any assurance at all—though, as Phillips points out, it does mean Orthodox apologists should stop relying on these claims. The inability of human reason and power structures to provide ultimate certainty says nothing of the reality of objective truth, precisely because that Truth is not wholly ascertainable by those methods. The problem is that what we’re seeking—mechanistic certainty through human reasoning—is not what God is offering: a personal relationship governed by love. To claim, rather, that this means everything is subjective is to embrace atheism. Any non-divine answer to the question, how do we know what is true, necessarily invites the same question to be asked of that answer, ad infinitum. The final answer must be God or there is no truth at all. The latter option, of course, is exactly the conclusion of postmodernism. But because knowledge is not only rational, and because the only reliable authority is divine authority, we need not worry that reason and appeals to human authority fail to scientifically prove the Apostolic Faith or the identity of the One True Church. When we demand that divine revelation conform itself to the expectations of our rational faculties, we cheapen faith and reveal an impoverished understanding of God. The Holy Spirit is not subject to a mechanistic understanding and you can’t give human explanations for divine operations. We are not seeking gold tablets inscribed with simple answers, but God enfleshed—which can only be done through faith. And really, faith is all we have, is it not? We weren’t there when Christ preached, suffered, died, rose from the dead, and ascended into heaven. We weren’t there when He explained the scriptures to the Apostles. We weren’t even there to know who the Apostles really were. We weren’t there when they started the first churches. All that we have is the life of faith. Of course, even the disciples themselves did not properly discern Christ in the flesh (i.e., through empirical/rational knowledge), much less those who rejected him. They still had to come to know Him according to the Scriptures and faith, even though he was with them physically. So, then, what are we to do? First, let’s start with what, in the Orthodox Christian tradition, authority is. As we’ve already intimated, authority, like epistemology, is personal. All authority comes from the Father, rests in the Son, and is revealed by the Holy Spirit: all three persons of the Holy Trinity are involved in its exercise. Likewise, there is no single mechanism for the exercise of this authority, but rather it is expressed through the entire life of the Church. In Orthodoxy we call this Holy Tradition, which properly speaking is the life of the Holy Spirit in the Church. Just as Christian epistemology reveals that true knowledge is of a person and is found through a personal relationship, so all authority is personal and is manifested in the continuous life of the Church. God’s authority manifests itself in many forms: in the episcopacy and Apostolic succession; in the liturgy and worship of the Church, preeminently in the Eucharist; through the Church Fathers and ecumenical councils, and in the scriptures they canonized; in the Church’s iconography and hymnody; and in the lives of the saints, past and present. The sum total of all these witnesses is a life that is lived. Indeed, for authority to be personal, it must be just that: alive. Full knowledge of this authority and its teachings is found through sharing in that life, within the Church. It is in this shared life, this communion of persons, that we truly come to know what the Apostolic Faith is. We know Holy Tradition because it has been revealed to us in the Church through the Holy Spirit. This is the Apostolic Faith and the only path to knowledge of the mind and heart. But! That does not mean that our reason is to be excised entirely from our faith. It may not be the sole way of knowing, but it is by no means an unimportant one. We are not fideists and, after all, reason allows us to have conversations like this one. The fullest answers to our original questions reside in the lived tradition of the Church, but for those exploring Orthodoxy from the outside there are historical and theological reasons to believe her truth claims. Authority is found in the lived tradition, but we can use our reason to confirm what does and does not conform to this tradition, and even to determine whether something is or is not part of the tradition. How should one assess Orthodoxy’s claim that they, alone, possess the fullness of the Apostolic Faith? That is, before committing to life lived within the Holy Tradition of the Orthodox Church, which is the only way to fully answer that question, how can one rationally assess her claims to find at least an indication of whether they hold up? How does Orthodoxy pass the sniff test? We start with twin premises regarding what it is we are looking for. The first is that the Apostolic Faith is unchanged. Jesus Christ is the Truth and He “is the same yesterday and today and forever.” The True Church must hold the same faith today that the Apostles preached at Pentecost. Second, the Apostolic Faith must have been continuously preserved without interruption. Christ promised the Church that the Holy Spirit “will guide you into all truth” and “the gates of hell shall not prevail against it.” God has not and will not ever abandon the Church, Christ’s own Body, and this includes not letting her fall into error. While individual Christians, whether lay or clerical, may teach heresy, the Church catholic will never espouse false doctrine. Thus, in order to be considered to possess the Apostolic Faith, the church we are looking for must hold the same faith as the Apostles and must have continuously done so since Pentecost. This is what we mean when we talk of Apostolic Succession, which is both a physical and a doctrinal unbroken link to the Apostles, who were taught the faith by Christ Himself and guided by the Holy Spirit following His ascension. The truth of Orthodoxy can be recognized even by those yet outside her by this Apostolicity. Orthodox bishops were all ordained by bishops, who were ordained by bishops, who were ordained by bishops, who were ordained by bishops, etc., etc., all the way back to the Apostles themselves. And, that living communion of bishops and their flocks has continuously taught and lived the exact same faith that was handed down to them by the Apostles. Versus Protestantism: It is difficult to speak broadly of Protestantism, given the great diversity of beliefs that fall under its umbrella, but they all have at least one thing in common: none can be traced back to before the 16th century. In addition, the problem of sola scriptura, in any of its multitudinous variations, was already hinted at above. It makes each man his own pope and provides no consistent and workable framework for discerning the boundaries of the faith. The result has been scores of novel doctrines unknown to the Apostles. Versus Anglicanism: I don’t consider Anglicans to be Protestants, properly speaking. They have a plausible claim to tactile Apostolic Succession, being able to trace their ordinations back to the early church through the Roman Catholic Church. However, since the Reformation any claims to Apostolicity on their part have been undercut by a doctrinal and liturgical diversity that was unknown to the Apostles, the Church Fathers, and the early church. Even for those remnants of Anglicanism that hold to a faith closely resembling that of the early church, they still part ways when it comes to ecclesiology. They embrace an “invisible church” theology that was unthinkable to the Apostles and the early church. Versus Roman Catholicism: The Roman Catholic Church is the privileged beneficiary of deep apostolic roots and a rich liturgical, theological, and hagiographic heritage. Unfortunately, whereas Protestants and Anglicans erred by discarding parts of the Apostolic Faith, the Roman church erred by making additions to it, first and foremost: the filioque, the papal doctrines, and purgatory and indulgences. The doctrines of papal infallibility and universal jurisdiction, in particular, were simply unknown to the life and faith of the early church. Ironically, the belief that the Bishop of Rome held universal jurisdiction and infallibility in matters of doctrine and dogma grew out of the same desire for mechanistic certainty and tangible authority we discussed above. (In fact, for Roman Catholics, the Pope is often given as the answer to the circularity of authority. Yet even this fails, since one has to ask how we know the Pope really has that authority. Scripture? But whose interpretation? The Church’s? But which Church? Why the Roman one? Because they have the Pope?) At the end of the day, papism merely trades the guidance of the Holy Spirit for the office of a man. Or, if you argue that the Pope himself is guided by the Holy Spirit, it is the ultimate act of clericalism, collapsing the promises made to Christ’s whole body into the office of a single bishop. But again, the most important point—and one, admittedly, that can only be asserted rather than fully defended in the space we have here—is that the papal claims simply cannot withstand historical scrutiny. In the face of the historical record, the Orthodox Church alone can support its claim to hold the Apostolic Faith, unchanged and without interruption. If you are looking for that deeper knowledge of Christ “which surpasses all understanding,” Orthodoxy is where to find it. And so, we are not without any means to finding confirmation of the Church’s claims. History and theology serve as able guides in this endeavor. Like the hard sciences, they can be misused, inconclusive, or ignored; but that doesn’t negate their basic value. The physical succession of the apostles is a genuine matter of historical record, as is the theological continuity of the faith. These can both be given different interpretations, or even twisted beyond recognition, but this is not something to which even science is immune. So, yes, each believer has to assess the rival claims of different claimants to the title of the True Church; as Phillips says, we do need to make a private judgment. This may not be how it was meant to be, but it is the world we have made for ourselves through sin. And yet, despite this, the fundamental principles have not changed. For even were there only one Christian Church, every adherent would still have to decide for himself that its claims are true. At the end of the day, answering these questions is also a matter of faith. For Phillips is right in one sense; converts do make a choice, the same choice any convert to Christianity makes: that this is true and the other options are not. And yet, in a more important sense, this is not at all what is happening. Conversion is an act of faith and faith is more than making an informed intellectual decision. Children, after all, are equally (if not more) capable of faith. Faith is not setting before yourself an array of religious choices and picking out your favorite. Faith, rather, is dying. Responding to Christ in the Gospel—and no less in His Church—is the death of self will. It is freedom from all choice; it is submission to Jesus Christ who is the Truth. It is not, ultimately, an assessment of a set of doctrines but submission to a person. In this way, conversion to Orthodoxy is the exact same act as conversion to Christianity itself. Our own intellectual insecurities only arise when we confuse ourselves about the nature of that conversion, usually as a result of the philosophical and theological baggage we bring with us. We act as if we need faith to choose Christ, but not to discern his Body. This is true, but local jurisdiction was – it was unheard of to have concurrent bishops in the same place. Right now, there are like six different Orthodox Bishops who claim to have jurisdiction in my area. Is this not an addition to the early Church? The difference here is that the Orthodox admit that this is an aberration and are working to fix it. Rome made their addition dogma. Let’s admit the real issue: the way to determine new geographic authority given the catholicity of each individual bishopric has never been settled between our churches. In the Apostolic Church, it isn’t entirely clear each Church catholic held a significant difference between a bishop and presbyter! Given this “gray area” the Orthodox acted before you “fixed” the problem so clearly even the orthodox think that action is more important than correct practice – why not extend the same charity to the Roman See? Rome decided that given a first among equals status, they could settle the dispute themselves and move forward. This is almost a metaphor for the entire schism; our difference on how ecclesiology works, how to spread the faith to new areas without an apostle doing it under his own authority and what to do when the college of bishops refuses to act. While the Orthodox are content to sit (but not entirely right, they still act out of their historical jurisdiction albeit more slowly), the Romans were more sure of their primacy and acted more decisively and have developed a doctrine about primacy apart from the east. Your last mistake is assuming that we too think things are fine. We do not – we hold the schism as a great scandal and one in which we bear responsibility. The deal with Rome is that we have been more decisive about our own primacy. But first things first when coming to some sort of universal understanding, you cannot hold your own catholic Church to a different standard as ours in saying that your actions are justified given that you are “fixing” it while ours are not. It’s no surprise that people violate Church tradition. That’s happened many times in the history of the Church. But the question raised is the issue of instituting dogmas unknown in the early Church. It is true that Orthodox practice in some parts of the world where small numbers of Orthodox live is currently out of line with our own tradition in that there are overlapping claims to territory. What is not true is that the Orthodox have turned that overlapping into a dogma since we violated our own tradition. Rome, however, has dealt with its problem by turning a violation of the order of the early Church into a dogma. By Rome’s definition, this is not an aberration but is now the rule. This is not a temporary problem that Rome is trying to work out. This is now de fide for Rome, with anathemas attached for rejecting the dogma (anathemas which the Orthodox fall under, by the way, since we definitely reject them). The Orthodox problem with overlapping jurisdictions is that we have to return to our traditional order. We’re breaking our own rules. It’s not that we think that “action” is more important than correct practice. We’ve agreed that it’s wrong, and we’re working on a solution. Rome’s problem is much more grave — it has created new dogma unknown to the early Church, and it did it not to solve the problem of geographic territory but rather to shore up the rule of the papacy. Is there a plan in Rome to repudiate these new dogmas and return to the faith (not just order) of the early Church? If so, that’s great news, but I wonder how one backtracks from solemnly proclaimed dogmas. Dogma must be declared regardless if we can’t attain full collegiality – this isn’t just Rome’s position, this is the Easterns as well! Declaring dogma without full collegiality seemed to be fine when it was the monophysites that refused to recognize ecumenical councils. Rome simply sees schismatics as not enough to hold up the process whether it was first the oriental churches or now the Eastern churches. Explain to me why you see it as okay for the oriental Churches not to be included yet define dogma (at Chalcedon and beyond) but when Rome does it without you, this is not okay. 1. It is not quite the same thing for a single See to proclaim dogma as it is for a single See to object to dogma. “Everyone but Alexandria” is not the same thing as “No one but Rome.” The comparison is quite the stretch. If Rome alone can proclaim dogma, then why not any bishop by himself? 2. That said, Orthodoxy’s rejection of Papal Infallibility and Papal Supremacy are not so much on canonical grounds of uncollegiality, but rather because the dogmas are not actually true. We reject them because of their content, not just because they were proclaimed without us. We deny that the Pope is infallible, and we deny that God has given him immediate, ordinary episcopal jurisdiction in every church in the world. It does not matter who proclaims it or how many do so. It is still false. This is an awesome discussion…and it brings up some interesting points. I’d like to stick my nose in. To my minds eye there are several issues with the assumptions behind these statements / questions. I guess I’d answer your questions from my perspective by saying that there is a huge (apples and oranges) difference between what occurred at Chalcedon and what has occurred with the Roman See. In fact, the Roman see was still ecumenically driven and with EO for hundred of years after Chalcedon. What the Roman See has done is to overtly trump collegial parity of Bishops and brotherly unity by attempting to domineer all Christians and make the Ecumenical Orthodox Church a thing of the past. Not even OO attempted such a move, and seeks reunion to the order and united faith of Ecumenical Orthodoxy. In both cases though, both OO and Rome separated themselves from this brotherly love, preferring their own opinion instead of deference to the decisions of the Ecumenical councils (the mind of the whole Church)….the ONLY proper format for dogmatic formulation. I don’t know what to make of the fact that it appears that many believe that there was really no true disagreement at all at Chalcedon and it was all a big misunderstanding. Is it naive to think reunion of EO and OO is on the horizon? I think it will happen…but I’m an idealist. I am certainly not as hopeful for any such prospect with Rome. Despite some real changes, it does not seem Rome could ever humble itself to re-embrace parity and brotherly love or a position or equality. That would mean giving up authority and admitting its own culpability in not only the Great Schism, but in all the speculative theological innovations that have occurred in the West since then. Individual people, including the highest hierarchs of the Church, can make mistakes; and history now and then tells us about these sorrowful mistakes. Rome made a number of these and are well known, but to me someone raised protestant( though I don’t claim to be protestant any longer due to the many inconsistencies from one church to the other), the atrocities committed during the reformation were unforgivable. How could it be that “God’s Church” in Rome could committ such things against other Christians, torture, and murder of thousands. Rome went way off course while the other 4 original apostolic churches, though not perfect, carried the truth of God’s word and hell did could not prevail against it as Jesus said. You can’t blame St. Peter for what some other man/ or as the Catholic Church calls the Pope(s) for these serious violations of God’s word or truth. The Catholic Church before and after the great schism has been one of the most corrupt corporations in the history of mankind. Most of my Catholic friends and my wife(@ the time anyway) had no knowledge of what the CC did. However, saying that many of the bigger modern day evangelical churches are a blasphemy to God as well, without the murderous history of the CC obviously. The CC will never reunite with the EOC, there are to many important theological differences and Rome’s ego will not let them unfortunately. Now the context within which the term “external” is used may not be close enough to make a real comparison. But I was curious how you, Mark, or you Fr. Andrew, understand these two articulations of authority as external / internal. It could be that this is already answered further down in the article when Mark talks about the life of the church. Just wanted to ask, considering this is Fr. Andrew’s blog and he just wrote a book that uses the same term (external/internal) for authority, albeit in a different way. I think the short answer is that I’m using the word “external” in a different sense than Fr. Andrew was in his book. I meant only that the Protestant’s authority is not outside himself. For the Orthodox, authority is internal within the Church, but that also means it is in an important sense external to the individual believer. Hope this makes sense. A wonderful article! Many thanks, Mr. Meador. So often, the issues raised by a person/people are not in the questions asked but in the preconceptions brought to the questions themselves. I have found that, to understand and address any question, one must understand and address what lies beneath it. In today’s world, people go to great lengths to generate circular logic and lead others into it. This is because they are not interested in Truth; they are looking for self-validation instead. Thank you, again, for a very clearly and easily understood article addressing this issue. Wow! Thank you so much for this! Great articulation of the basic problems and the Orthodox understanding of how the truth of her faith can be known. I’m bookmarking this post, so I can easily refer others to it when this question comes up. Thank you for this article. As an educated evangelical, I’ve asked many of these questions in recent years, and the one surrounding the “appeal to authority” in particular. Given my private studies of Patristic theology, I am deeply sympathetic to Roman Catholic and Orthodox traditions. I have been to a fair number of Orthodox liturgies, as that is my instinctive inclination, and read many contemporary authors from both. I feel occasionally that one or the other will eventually win out. However, I keep running up against the conclusion that the exclusive claim of each to be the Church (with their various merits) negates the effectiveness of the other. Both have messy histories and problematic presents, both produce saints and miracles and intelligent theologians, both arguably have evolved substantially from their roots (yes, I realize there is disagreement with this assessment). At least the Catholics have Rome. I would think there would be a clearer marker of which is the true Apostolic Church and which is schismatic. Neither seems to have a “rational” advantage, nor do I discern Christ as peculiarly present in the life of either. Can I know that only from within, where I cannot go without having already made a leap? I am inclined to believe that were I raised Catholic or Orthodox, I would stay there, but from the outside, for now, I must resignedly hold off, pray, and wait for enlightenment. Your prayers are welcome. That’s a tough place to be in; I’ll certainly keep you in my prayers. I think the answer to your question is that, yes, the full answer to your question can only be had from within. I tried to allude to precisely this dilemma in my article: it makes it hard for a person trying to choose between Roman Catholicism and Orthodoxy to know where to go. As you note, the history is messy. I do believe Christ is “peculiarly present” in Orthodoxy, but then I’ve never been Roman Catholic so I can’t compare. There are a few options for someone in your situation. You cold simply take the plunge in whichever direction you’re leaning and “learn as you go.” There’s nothing wrong with this, as long as you continue to work through things with your priest/spiritual father, and I know people who have done it. Another option is to live “as if you were Orthodox.” Even before becoming a catechumen, you can “try on,” so to speak, the Orthodox way of life. I would meet with a local priest and talk with him about what that might look like (prayer rule, fasting, study, etc.). Finally, the more academic option, which I outlined above, is to narrow down the conflicting beliefs of the two churches and undertake a serious effort to see who you think has the better of the argument, historically and theologically. As with the first two options, this is best done in consultation with a local priest, who should be more than happy to help guide you. During my journey of faith, I have come from being a Pentecostal missionary and pastor to having stated and Orthodox Mission and I was ordained in the orthodox Church…but as I read the scriptures and the Church Fathers, It became clear to me that the Pope did have a special role in the governance of the Church. Let take Moses for example, it became evident that Moses could not rule and judge all the people of Israel alone. If I remember correctly his Father in Law told him to Choose men to rule of the smaller matters and Moses to only Judge and Rule over the smaller matters. I see in this the a Type of Church Hierarchy revealed . I could not accept that Christ would create the Church and have given Peter the Authority to rule over all the apostles. That is what I experienced in the Fathers of the Church. Often Rome settled disputes among those that were bickering. Did not the Patriarchate of Rome defend the Faith once delivered to the Apostles always while many of the great Heresies in the past were started and spread in the East? Did not Jesus Change Simon’s name to Peter the Rock (Cephas)? Did he not say to Peter he gave him the Keys of the Kingdom and to Him alone…I didn’t read that Jesus gave him the Keys and said to him pass them around to all the Apostles because you are just one among equals? As there is only one Christ and Christ has only one head on his shoulders, so he appointed Peter to be the voice of Christ, the defend the faith, thrice he tells Peter to feed the Sheep.”You are Peter and upon this Rock (peter) I will build my Church and the gates of Hell will not prevail..whatsoever you bind on earth shall be bound in heaven whatever you loose on earth shall be loosed in heaven” Peter is the Chief Steward of the Kingdom of Christ, as Daniel was to the pagan King. As Joseph was to Pharaoh. Remember Jesus is the Son of David also, and he takes up the Kingdom with his Mother being the Queen Mother. Purgatory is bad? How about the toll houses ? How about the orthodox priests that also teach that the souls that need perfection after death sometime go to the upper part of hell? We pray for the dead in the Orthodox Church for what reason? Same as the Catholics. Indulgences were abused and this is true and has been Corrected. What is hard about that? Jesus say HE would send the Comforter, and the comforter proceeds from the Father, So put it together..easy math…The Holy Spirit while proceeding from the Father is also sent be the son, therefore, so he come from the Father and the Son. The Church has explain that is means nothing by Her statement of the filioque new. It is not Heretical. And it was added First in Spain to uphold the dogma of the Trinity. Ultimately I saw it was pride that is shared by both the Latin West and the Eastern Church on the other hand. Rome has been practically begging for us to end this Schism which is a scandal to the Body of Christ. Also, some Eastern Bishops accept Roman Catholic Priests who have left the priesthood to get married without permission; they have broken their vows and some were also vowed monastics…In these cases the pretend that the Roman Catholic church did not have grace to ordain the men. Or a priest comes from the Catholic Church who is Celibate , unmarried and the Bishop just vests him accepting his prior ordination as valid. This double Standard is confounding. I could not wait for 100 more years to obey Christ and be one body and share the one Sacrament of Communion. Therefore I was compelled by the Holy Spirit and my conscience to enter full communion with the Catholic church. The would is becoming a cesspool of sin and sinking…it is time to put away all pride and with humility ask one another forgiveness and reunite. I pray daily for the reunion of all the Eastern Bishops with the Bishop of Rome. My own journey from Protestant to Orthodox Christian was similarly initiated by the problem of authority. The answer I found in the Orthodox Church was not one only of “external authority,” but primarily of “consistent authority.” Every Protestant group I had been a part of or researched claimed Sola Scriptura but also a need to submit to the authority of that particular group’s interpretation of Scripture to be a member in the fullest sense (of course there are some truly “independent” Protestant churches that teach the “soul competency” of all believers, but even these require you to accept this doctrine of soul competency to be considered a true “independent” Christian). Essentially, I had ecclesiastical authorities authoritatively telling me that they had no real authority! I could no longer live with this inconsistency. In the Roman Church, I found more consistency (at least they admitted to having a true ecclesiastical authority), but as you stated, there are historical and logical contradictions (when there are two popes and a council, who has the final say?) within the Roman church’s exhaustive ecclesiology. Only in the Orthodox Church did I find a truly consistent authority. I heard from others the argument of “circular reasoning” that you mentioned above, but, as you emphasized, all authority requires assent at some level. Circular reasoning may be fallacious when used to establish an argument, but it does not preclude truth. Tautologies (“this sentence is true”) may be useless as an axiom in an argument, but they are true nonetheless! The Holy Tradition of the Church includes itself in its own teaching (without “accidentally” excluding itself, as with most Protestant teaching, or without posing serious dilemmas such as the case of Roman antipopes), creating a consistent authority, that, although requiring faith to enter into the “circle of reason” that it forms, nonetheless displays no affront to the rational mind. I hope my comments didn’t come off too critical. I really enjoyed your piece and thought it highlighted an important issue. My point was simply that I don’t think, in the words of your friend, that he converted “via a fundamentally Protestant line of reasoning.” What distinguishes the Protestant is not that he decides for himself and makes a choice–all Christians must do this–but what he chooses: submission to himself, rather an external authority. I completely agree re: “faith” arguments in the pluralistic context. For your evangelical friends, I think the historical arguments are a much better starting point. History is messy, as you rightly pointed out in your original piece, but that messiness is really more in deciding between Rome and Orthodoxy. There’s really no way for a Protestant to contest that their faith tradition did not exist before the 16th century. Now, that may not matter to them, but then that’s a different conversation. You can explain to him all the “extras,” what they mean and why they exist, but if he simply doesn’t want to be convinced he’s not going to be. At the end of the day, there really isn’t a magic bullet. I don’t think there’s any one argument or line of reasoning that we can disseminate and emulate in order to convince or prove to every individual that they should be Orthodox. Or even that they should be Christian. That’s simply not the Biblical or Apostolic model of evangelism–and for that reason, it shouldn’t discourage us. Anyway, I hope this clarifies what I was getting at. Thanks again for your article, I liked it a lot. Oh, no, as I said, I don’t disagree with anything you say in the article. I just wanted to clarify where I was coming from. Your mileage may vary on this point; I have found historical arguments to be the kiss of death with Evangelicals, at least the ones I talk to, because it just confirms for them once and for all that Orthodox Christianity (and Roman Catholicism, to a certain degree) isn’t “Christianity for reg’lar folks”, people who don’t know or care anything about Greco-Roman history or ecumenical councils or fasting calendars or the difference between Orthros and Vespers, but sort of a “Christianity for eggheads” — as it’s been put to me, “church for people with too much time on their hands”. I wonder if that is not due to the fact that their Christianity is so “sentimental”. It seems a sort of justification for their emotional lives (at least what they deem to be the positive aspects thereof), and thus hardly penetrates the real things of the heart (and head) at all…. One main fact that undermined my Protestant foundations was the Septuagint. For sola scriptura is ingrained in most evangelicals. When I realized that the “Bible” of Paul and the Apostles was the OT Septuagint, my Protestant world unraveled. Not all will se things the same way at the same time. However, hitting Protestants with the Bible, figuratively speaking, is one of the keys to this topic of authority. Until the authority of scripture is clarified the topic of church aueheority will not be accepted for many. The key is precedent. Showing that the scriptures Paul and the Apostles referred to in their letters and used in their day were the Septuagint OT, then the modern KJV Bible fundamentalist has to come to grips with his historical inaccuracies and scriptural foundations. I’m sure this could use a better explanation than allowed in a blog conversation. But my simple mind wanted to throw in this idea for folks to consider. Bottom line is that to get the modern “reformer” Protestant to give up his 16th century arguments and accept the Septuagint scriptures of the early church prior to the Christ hating Masoretic Jews and the well intentioned but flawed understanding of Luther and others, this takes us back to the beginning before the Roman Catholic break off and subsequent errors that followed. Starting at the beginning with a fresh perspective on the early church helps one follow and accept the precedents set by the church in the first 1000 years. By the way, my wife has not accepted Orthodoxy yet. She is well read and follows more blogs than I do. However, we don’t think in the same way. She is much more touchy feely and isn’t convinced via the facts and dogmas like I am. I can never answer her questions correctly because I just don’t get her thinking. We get along as a couple but the Orthodox issue is beyond me. If/when she accepts it, I’ll let you know how it happened. Lol. I need a miracle for this to happen. My analytical mind doesn’t grasp my wife’s thinking. We are examples of how different people see things differently given the same facts. As already stated, not all will accept the authority issue in the same manner and timing. It truly is by faith and by God’s grace. Keep us in your prayers. Thx again. Regarding “circular arguments,” perhaps it’s better to think of a spiral or helical argument, e.g. Is the Resurrection credible? Then, is the Old Testament credible as something that speaks of Christ? Then, is the New Testament an authentic fulfillment of the OT? Then, is the witness of the Apostles credible? Then, is the institution claiming to be founded upon them credible insofar as its teachings accord with the Apostles’? Then, are there deviations from this apostolic teaching in one group or another? Thank you for a thoughtful post. I very much appreciate the first two thirds of what you’ve said here, particularly as it applies to how we discern truth. You have articulated well something I have been trying to get at in my own thinking, about the absurdity of trying to rationally climb your way into truth instead of meeting truth in all His fulness. I hope you’ll see it as expressing my desire to engage constructively with what you’ve written. Many blessings to you. I’ve tried to post my reply to Fr. Jonathan here twice, but it seems to keep getting lost. Nonetheless, it is also posted in the comments on his response linked above. I don’t recall who said what when, but the topic of multiple Bishops in America is truly a dilemma for the Church in America. If I may, I’d like to say that if the Orthodox want the RC to repent of their errors (which they should without compromise) and return to the fold of the One Orthodox Catholic and Apostolic Church, which would mean she also give up her jurisdictional authority around the world, it appears to me that the Orthodox will first have to set the example and “fix” this jurisdictional mess in America. As much as I appreciate the various cultural flavors, the topic of jurisdictional authority is undermining the growth of the Orthodox and the reunion of the Church Catholic. Correct me if I am wrong, but did Fr Andrew mention this problem in one of his archived podcasts years ago? I just found and listened to them a few weeks ago. Excellent series by the way. I think I heard Fr Andrew speak of this issue. Forgive me if I am mistakenly crediting this to your lips sir. But the point is a stumbling block that needs to be fixed sooner than later. I am very interested in this issue and wish I knew how to stay informed of it. Being a truck driver, I don’t get much time to read blogs or listen to podcasts like I’d like. I was able to read an awful lot a couple years ago when I had different job, but now my time is very limited. For future reference, those who notice my occasional comments, please accept my apologies if I miss parts of the conversations or come across rather simplistic or short in my comments. Thx for allowing me to post. If memory serves, it was the late, lamentable Alan Watts who called the quest for a logical proof for the existence of God folly. He said that, if there were such a proof, that proof would become the object of veneration, not God. Once I read that, I found myself liberated from the arguments and discussions and have never gone back. Then I found myself having to answer the question implied in something C.S. Lewis: Either Jesus is who He says He is or he is a madman. I chose “Yes” and have never looked back. Now I spend my days answering Christ’s question “Why do you call me Lord, Lord, but do not do what I say?” The work is arduous (because my self pity is relentless) but I remind myself that I could still be stuck in the old ways, going around in circles, sitting on a fence somewhere trying to decide. Thank You my Lord Jesus! Thank You! Thank You! Thank You! An interesting article. 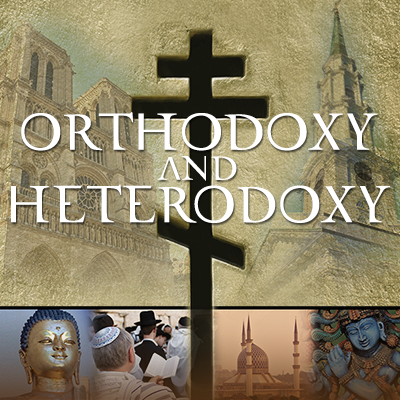 At the end, though, you neglected to explain why Eastern Orthodoxy is the path to take rather than Oriental Orthodoxy. How can a seeker determine that the Chalcedonians did not hold a false council and by adhering to its teachings broke away from the true Church in 451 AD? This is a bit of a dated thread i came across to an ancient question. The Protestant under no one’s authority but his own is free to believe as he pleases at any given moment, wavering with the wind, all the while remaining consistent in his complete submission to his authority: himself. But which makes the basis for what one chooses to believe meaning the result of it excludes external authority, which is not necessarily the case, and is not how SS is understood by which documents as the Westminster Confession, which upholds the authority of the magisterial office. But not as possessing the novel premise of ensured perpetual magisterial infallibility, which is unseen and unnecessary in Scripture. The OT magisterial office certainly had authority, dissent from it being a capital offense, (Dt. 17:8-13) as do civil magistrates, but even those who sat in the seat of Moses did not possess ensured veracity and could require implicit assent. Meanwhile, Catholics are manifestly able to have variant interpretations of the teachings of their church, and as multiple surveys have attested, morally and doctrinal liberal souls are far more likely to feel at home in Catholic churches than in churches which most strongly believe in the authority of Scripture as the wholly inspired and accurate word of God. Following Scripture today should mean that while the devil can misuse the authority of God to deceive, yet Truth loving souls can find the risen Lord Jesus and His body, but which (as concerns its visible form) is that which substantially conforms in heart and doctrine to what the Holy Spirit reveals in Scripture. But the question raised is the issue of instituting dogmas unknown in the early Church. And which NT church, as revealed in Acts onward (which is interpretive of the gospels) did not manifestly teach perpetual ensured magisterial infallibility, , nor did it have a separate class of believers distinctively called “saints” or distinctively titled “priests” offering up the “real” body and blood of Christ as a sacrifice for sin, which is to be literally consumed in order to obtain spiritual life. Or one that was praying to created beings in Heaven, and being formally justified by ones own sanctification/holiness, and thus enduring postmortem purifying torments in order to become good enough to enter Heaven, and saying prayers to obtain early release from it, and requiring clerical celibacy as the norm, among other things. Evangelical churches for their part (though i am an evangelical) too often marginalize baptism, and usually hold to OSAS, and reject even in principal a central magisterium, which should be a goal. And how we need men such as the apostles in purity, passion and power (unlike me). But in my 30+ years since leaving the church of Rome as a weekly participant, it is in evangelicalism that i have found real “fellowship of the Spirit,” centered on Christ and a shared transformational conversion and lives, thanks be to God, though it too often is a relative remnant. Actually, Phillips did make that point. In the article of his that you extensively referred to, he wrote that “the quest for epistemological certainty actually turns into a functional fideism…. . But Orthodoxy is not a religion of absolute clarity. It is a religion of mystery, paradox and intellectual messiness. 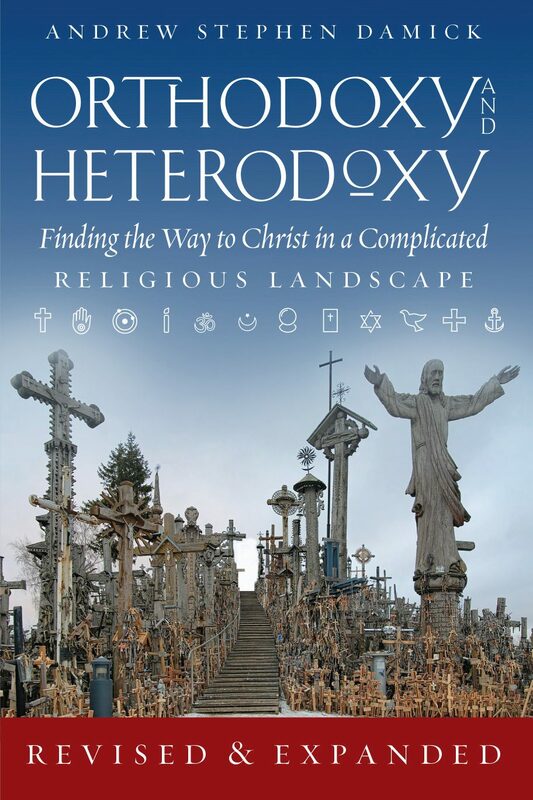 Similarly, our respective journeys into Orthodoxy are often messy, ambiguous and even illogical.” In quoting from Phillips’ article, you made him sound like he was saying the opposite of this.